At Website Design Plus we feel it's important to support local business. (Are you a member of Local First AZ yet?) So we are putting together a list of preferred vendors and businesses that we know personally and trust. Our Small Business Friends share our commitment to service and integrity. We want to support them and help build stronger connections in the small business community. Reich Realty can help you find or help you manage a fully furnished rental home valley wide in the Greater Phoenix area. Reich Realty provides multiple management options and to top it off they are extremely pleasant to work with. Marcelle’s passion is helping others live the American dream of owning a home and providing something tangible for their families. 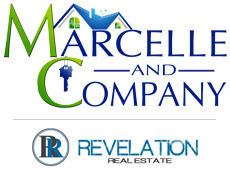 Marcelle strives for excellent service with every client. From the first time home buyer to the experienced house flipper, Marcelle conducts herself with compassion, integrity, and professionalism. She is your go-to real estate agent in Mesa, AZ. Techer’s Tree Service in Mesa, AZ are large tree removal specialists and provide full-service tree care in Phoenix and the surrounding areas. We pride ourselves on always making sure the trees in our community are healthy and beautiful. Jim and Tammy are the real deal! Jim and Tammy are a husband and wife dog training duo that are now serving Scottsdale and the Greater Phoenix Area. They’ve been working with dogs since 1992 and received their dog training certifications from the National K-9 School for Dog Trainers.